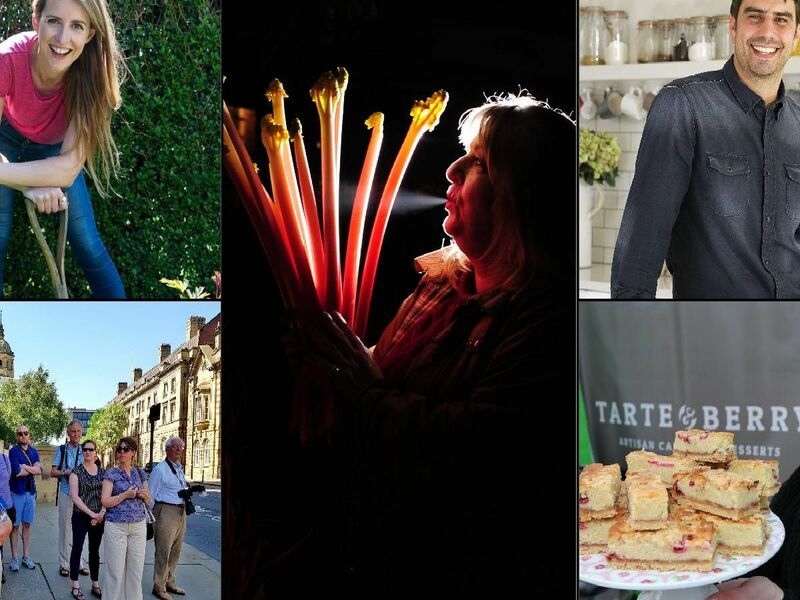 This year's Rhubarb Festival promises to be the best yet. With cookery demonstrations, family activities and a comedy club, there's something for everyone. We've put together a handy guide to all the events, performances and activities taking place this weekend, from Friday, February 22 to Sunday, February 24. Some events may require tickets to be purchased in advance. Follow us on Instagram for updates across the weekend. Katie Rushworth, from ITV's Love Your Garden, will show guests how to make preserves and pickles from Yorkshire rhubarb. Catch Katie's show in the Cookery Demonstration Marquee at 11am, 2pm and 3.30pm. Wakefield Museum will host a rhubarb-crumble cookery class from 12.30pm to 3pm. Pictured is Jane Batham, from Tarte and Berry, with rhubarb crumble at last year's festival. Heather Copley, from Farmer Copley's, will offer a cooking masterclass in the demonstration marquee. Catch her at 12.30pm on Friday.